This classic fish and chip recipe – made using a pale-ale-batter – is inspired by chef and TV host Adam Liaw’s childhood holidays on the Eyre Peninsula, home of what he considers some of the best seafood in the world. 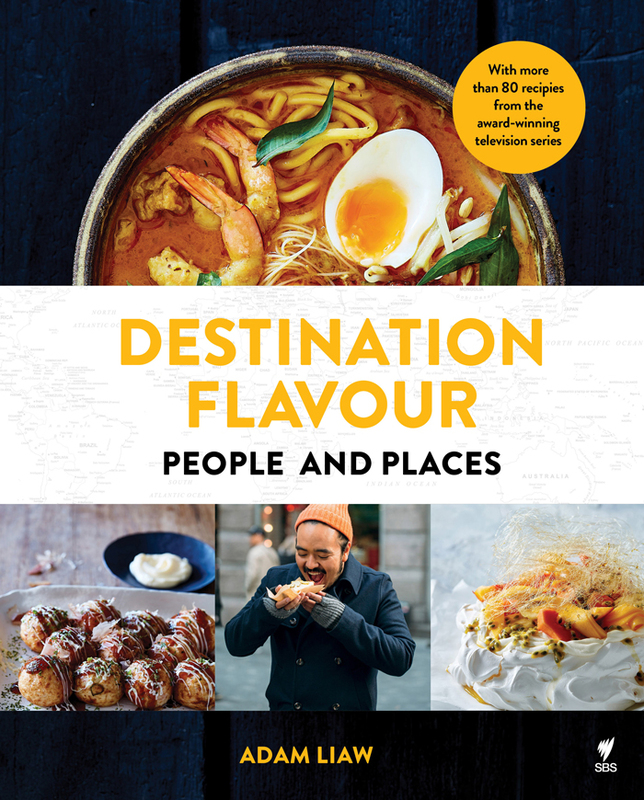 Liaw, a MasterChef winner and host of the SBS show Destination Flavour, includes the recipe in his new cookbook – also called Destination Flavour – which features dishes from the show and his travels. My dad worked in Whyalla, on South Australia’s Eyre Peninsula, for most of my childhood, and we travelled there a lot during the years I grew up in Adelaide. Destination Flavour has taken me all around the planet, but sometimes it takes a long journey to really make you appreciate what’s been in front of you the whole time. The seafood from the Eyre Peninsula might be the best in the world, and King George whiting is one of the region’s finest fish. It makes a perfect South Australian fish and chips. I think a lovely undressed salad of interesting ingredients, with just a little lemon juice squeezed over the top, is the perfect match for good fish and chips – a lovely respite from mouthfuls of fried fish and fried potatoes. Raw vegetables such as lettuce leaves, shredded red cabbage, thinly sliced red onion, cherry tomatoes, avocado wedges, gherkins and caper berries, to serve. Heat your oven to 120C. Place the chips in a large saucepan and pour in about 8 cups (2 litres) water, until completely submerged. Add the salt and vinegar and bring to a simmer. Cook for about 15 minutes, or until the chips are tender, but still retain their shape. Drain gently and spread out in a single layer on a baking tray lined with a tea towel. Bake for 15 minutes, or until dry. Keep uncovered on the bench until ready to fry. To make the batter, place the flour in a large bowl and pour in the beer, lightly whisking until just combined. You don’t want to over-whisk the batter – a few lumps are fine. Pour the oil into a wok or large heavy-based saucepan and heat to 200°C. In batches, deep-fry the chips for 2 minutes. Transfer to a wire rack and drain for at least 10 minutes. Return the chips to the hot oil for a further 4 minutes, or until golden brown, then remove and drain. You can keep the chips warm in the oven while you cook the fish. Reduce the heat of the oil to 180C. Coat the fish fillets in the batter, shaking off any excess. In batches, deep-fry the fish fillets for 2–3 minutes, or until golden brown and just cooked through. Drain well on a wire rack set inside a tray. Season the fish and chips with sea salt. Serve immediately with tartare sauce, lemon wedges and your crudité salad ingredients. NOTE :Adding vinegar to the water in which the chips are boiled helps them retain their shape during boiling. Don’t try to overcomplicate beer batter by adding eggs, herbs and spices, or any fancy ingredients. A cup and a half of self-raising flour and a bottle of chilled beer is all you need. This is an edited extract from Destination Flavour by Adam Liaw, published by Hardie Grant Books, RRP $50, available in stores nationally.